EXCLUSIVE! Gorey loved cats and books - more than people, some have said. He drew both with respect and affection. All three shirts feature Gorey art from a poster he created for the Antiquarian Book Fair in 1994. 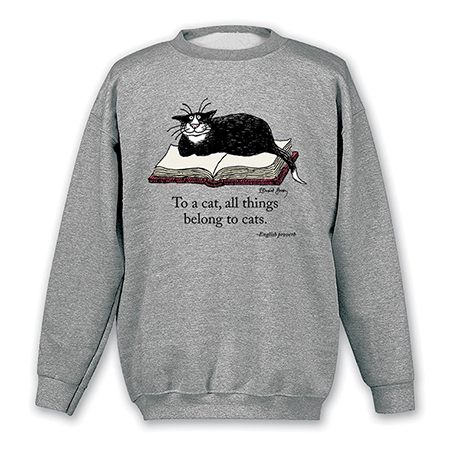 Sport gray sweatshirts are 50/50 cotton blend; T-shirts are preshrunk 90/10 cotton blend. Sizes M-XXL. Imported.